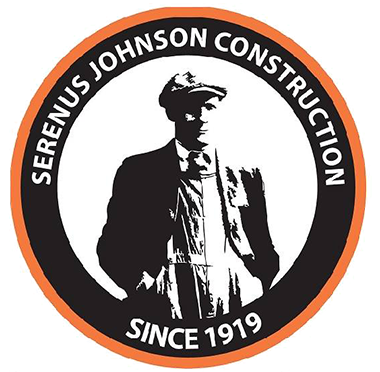 McLaren Bay Region chose to partner with Serenus Johnson Construction on their addition to the Karmanos Cancer Institute Radiation Oncology program, which is located at McLaren Bay Regionís West Campus at 3180 E Midland Road, Bay City. The construction of a 2000 square foot addition and 6000 square foot renovation to the Jeppesen Radiation Oncology building, began in late July, 2017. This $1.6 million-dollar addition will be home to a new TrueBeam system. TrueBeam is a linear accelerator that provides a more direct radiation to cancer tissue. This system allows technicians to customize each patientsí treatment to their personal needs. Itís designed to be able to deliver large amounts of radiation with precision and will target tumors, while limiting the amount of healthy tissues and organs that will be exposed. Previous forms of radiation could take up to 30 minutes to administer, with the TrueBeamÆ system, it will only require 5. Serenus Johnson worked with WTA Architects as the architectural team and MacMillan Associates Engineering Design firm throughout the project. As a team, they were able to complete an addition to their existing building, now called ìThe Vault,î and complete interior renovations to existing rooms. The team was challenged with the obstacle of constructing the vault with requirements needed for the equipment that would be set in place at a later date. Some of the necessary tasks at hand included pouring walls up to 8 feet thick and a 3-foot concrete roof. With diligent work and attention to detail, the team met all of the requirements and were able to complete The Vault per the project specifications. This project is scheduled for completion by April of 2018. Serenus Johnson is proud to lead the Karmanos Cancer Institute Radiation Oncology construction team in this new project.